MILLS RIVER, N.C. -- Four hurricanes. Seventy percent chance of a named storm making landfall along the west coast of Florida. Sixty percent chance that Texas will be impacted by a hurricane. These are just some of the dire predictions by the Weather Research Center for the 2016 Hurricane Season. "Our Cyclone Strike Index (CSI) provides forecasts of the most probable landfall of where a tropical cyclone will occur during the 2016 Atlantic Hurricane Season," says Jill Hasling, CCM and president of the Weather Research Center. "The west coast of Florida, and Texas coastal areas, have the highest risk of being impacted this year. And, of key importance is that the Gulf of Mexico oil leases have a 90 percent chance of experiencing a named tropical cyclone. "We're predicting seven to 10 named tropical cyclones forming in the Atlantic this hurricane season, with four of these intensifying into hurricanes. Given this forecast, now is the time for homeowners and business owners to evaluate the condition of their properties and take the necessary steps to prepare for severe weather." How can homeowners prepare their homes? One step is to look at your windows. Windows are a vulnerable area of the home because strong winds can implode normal windows or cause flying debris to strike and break windows. Homes in hurricane-prone areas should have windows that meet local codes and include impact-resistant glass. Even privacy windows should meet codes. The Storm-Lite silkscreened glass privacy window from Hy-Lite® is certified to AAMA 506-06 specifications for Hurricane Impact and Cycle Testing, and has a Design Pressure Rating of DP50 in Wind Zone 4. 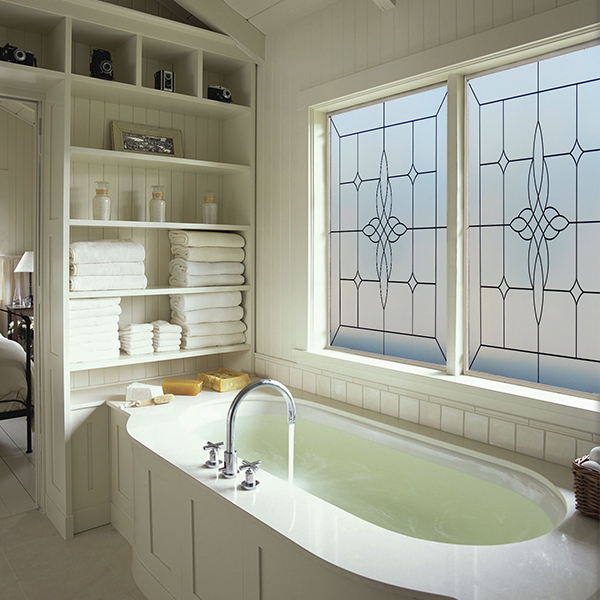 The 4' x 4' fixed decorative glass window features a one-inch insulated unit with an annealed, laminated exterior glass in a heavy-duty vinyl frame to resist impact from flying debris. The unit also has tempered glass on the interior for enhanced safety, privacy and decorative style. Before the onset of Hurricane Season 2016, take time to evaluate the structures where you live and work. Make upgrades and changes now that can prepare you to weather upcoming storms. For more Hurricane Preparedness Week tips, visit http://www.nws.noaa.gov/com/weatherreadynation/hurricane_preparedness.html.